The goal of the anti-Candida cleanse and diet protocol is to, especially in the early stages, kill off the Candida albicans organism as quickly as possible. Unfortunately, in doing so, a great number of toxins are often released into the body. While those toxins are ultimately absorbed and flushed out of your system, the cause what we now know to be Candida die-off symptoms. The formal name for Candida die-off is the Herxheimer reaction. 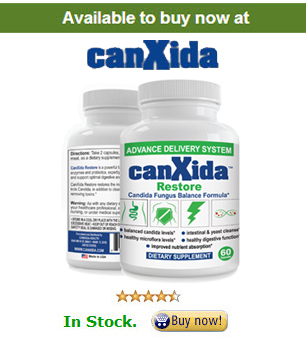 A candida cell has an astounding combination of 79 different toxins within it. These toxins include acetaldehyde and ethanol, both of which can have staggering effects on your wellbeing. Let’s take a closer look at acetaldehyde, for example. In large quantities it can suppress your immune system, suppress your respiratory system, damage cell membranes, suppress oxygen flow throughout the body, and even damage brain cells. The good news is that you are not likely to have such damaging effects from a Candida cleanse, but you are very likely to experience severe fatigue and what most people refer to as brain fog. You may even find you have a number of recurring vaginal yeast infections or sinus infections – some of the things you noticed as symptoms of your Candida infection to begin with. How to Cope with Die-off? The best way to cope with die-off is to make adjustments to your supplements. Supplements like milk thistle can be added to support your liver as it works to process toxins, but you are better off reducing your antifungals and probiotics. Adding Vitamin C (ascorbic acid) will help to boost your immune system, adrenal glands, and stomach acids. I suggest candida-off from probacto, there are 100s of great reviews about their candida die off product so give that a try. Your antifungals are more likely to cause die-off than your probiotics, so start by cutting back on your antifungal dosages. If you are taking 3, cut back to 2. If you are taking high doses, lower them. You can always slowly increase your dosage as you begin to feel better and respond with less complications. Probiotics are primarily to repopulate your intestines with good bacteria, but the crowding out process can contribute to Candida die-off. Once you’ve added them, you may not want to eliminate them completely, but definitely lower the dosage and then slowly work it back up again. Make sure you are drinking plenty of water. Your body needs to be hydrated in order to flush toxins out of your bloodstream. Finally, get some rest. Your body’s immune and adrenal systems are already taxed. Not getting enough sleep just makes it harder for your body to fight off infections. Relax, watch a movie, read a book, take a nap, and go to bed early. Your body will thank you for the extra care.